Craig — Storms that have blanketed Northwest Colorado in over two feet of snow have caused the Bureau of Land Management to delay the resumption of the wild horse bait-trap operation they have had underway since early November in Sand Wash Basin. “With the recent snowfall we are holding off resuming gather operations because access is difficult,” said BLM Public Affairs Specialist for the Northwest Colorado District, David Boyd. Sand Wash Basin is located roughly 45 miles west of Craig and is home to nearly 600 wild horses, roughly twice the number allowed in the BLM management plan for the area. 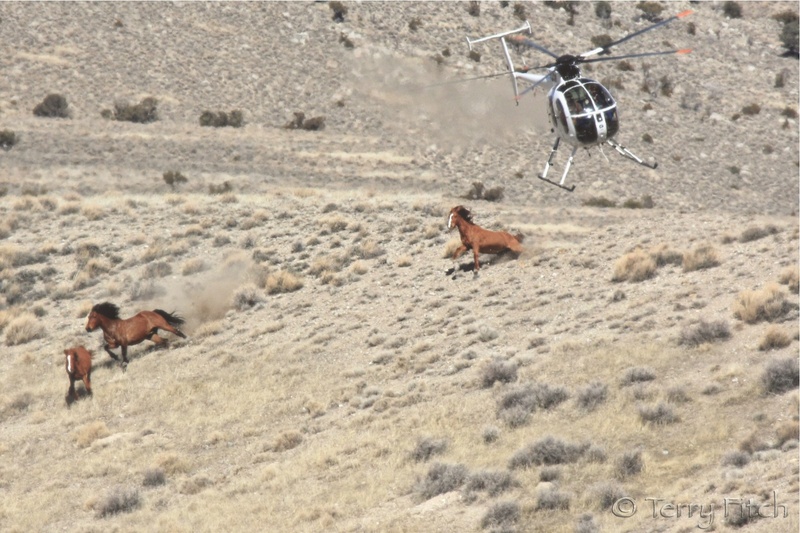 BLM is using bait-traps to remove 50 young horses from the herd to help control the population. Hay is used as bait to lure the horses into temporary corrals. “The temporary fencing is still in place, but the gates are tied open and the triggers removed. This will allow us to resume again fairly easily, but not risk trapping horses when no one is there,” Boyd said. Before halting the the operation for the holidays in late December, 34 young horses had been removed and transported to BLM’s wild horse holding facility in Cañon City. A foal that had been injured in an incident, unrelated to the gather, was also captured and euthanized bringing the total horses removed to 35. To achieve their goal of removing 50 young horses, BLM will resume operations once roads are again accessible. The Great Escape Mustang Sanctuary and its on-range program, the Sand Wash Basin Advocacy Team (SWAT), are assisting the BLM with the gather and adoptions. More information about adopting Sand Wash Basin horses is available from the SWAT Facebook page. I hope they get stuck in the snow!! Yeah right the baby was injured previously. Do they think we are stupid or what!! Why the coldest and snowiest time of the year. And where are they going to put these youngsters? In some feed lot without shelter to pine away?? Just disgusting!! Gail, did you even read the article? They stopped the bait trapping sometime ago and will resume when the depths of winter have passed, they are taking only a few select horses with the help of SWAT and GEMS, who will use TIPS trainers to make them highly adoptable. Some are already spoken for before being trapped! There was and will be no “helicopter stampede” and if you look on the SWAT FB page they documented the matter of the foal, who was not injured by any roundup. I share everyone’s passion about protecting our wild horses but believe we need to find better management strategies, and should support those (like this one) that show promise, are small scale, and are far more humane. Painting any and all management or removal strategies the same is a disservice to everyone. Especially here, where the BLM could legally use helicopters and take out over 300 horses, this much smaller, much more organized, and far more humane strategy is laudable in my opinion. In case you don’t know, this HMA is adjacent to the WY Checkerboard, so roaming horses who move into WY face a deadlier fate. Let’s direct that passion and anger towards the barbaric roundups which still continue elsewhere. [I am not involved with any of these organizations, just live closest to this HMA so am keeping an eye on it]. Thanks IcySpots for comments about humane management strategies. Without the local partnership created by the Sand Wash Advocate Team, the BLM would be reverting to default position of a large-scale helicopter roundup. 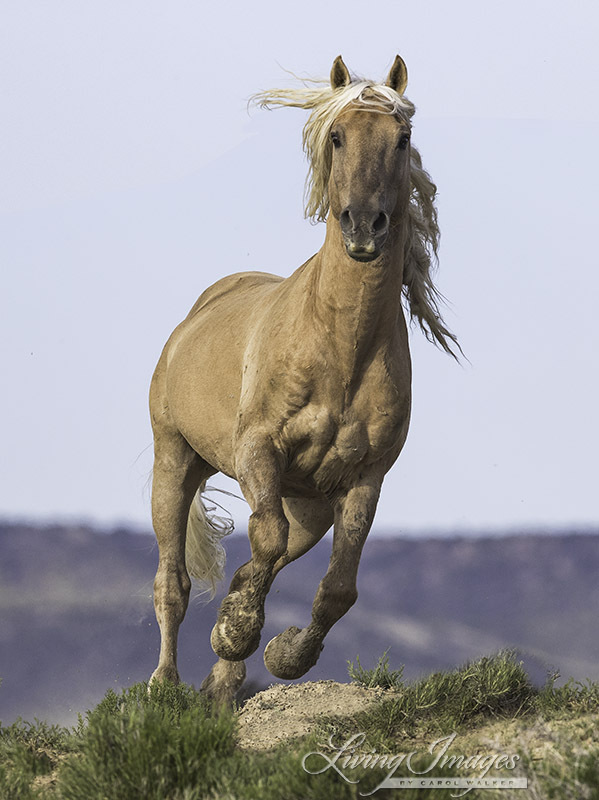 I prefer celebrating the progress made, however gradual, by the local horse lovers and their on-going efforts to promote ecotourism, wild horse education, reversible birth control and grazing permit swaps as alternatives to roundup/removal and scapegoating of the WH herds . The Sand Wash Basin wild horse bait and trap is scheduled to happen in November, which is a time when the horses are building up their strength for winter. The amount of stress that will occur for the horses and their foals will put them at risk for death during the cold months. There is always death and injuries associated with roundups. I am a native of Moffat County and have spent countless hours observing the wild horses in Sand Wash Basin. They’re a jewel of Moffat County. Many people from all over the world follow them on various Facebook pages, and some people fulfill their dream with a visit to Sand Wash to see them. I have seen many a young person with a sparkle in their eyes while photographing or seeing them for the first time. The Sand Wash wild horses are an economical asset for our community, which brings in more revenue than one might think. If the Sand Wash Horse Management area could be expanded or the existing one become a horse refuge, it would be another asset along with hunting as an economical draw for our community. Granted, the current grazing leases would have to be reevaluated. We need to think of new ways to make our community thrive as our other resources are disappearing. Many wild horses are disappearing from other parts of the United States as roundups occur. 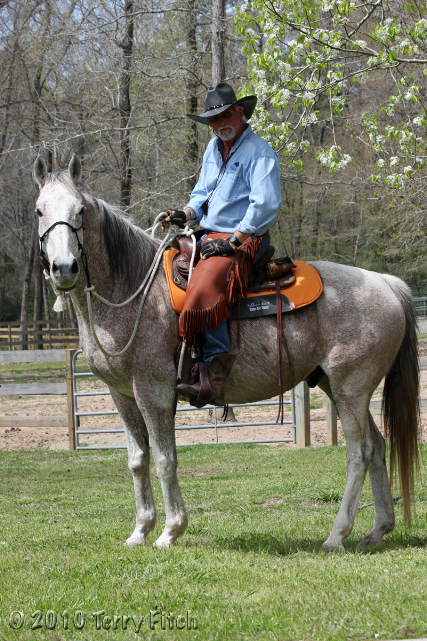 Our herd stands out as one of the best to visit by horse enthusiasts and tourists. As they are eliminated everywhere else, seeing our herd would be in demand more, which means revenue for our community. During my time in Sand Wash, I personally have met many people from all over the United States and the world who come here to just see the horses. Moffat County needs to decide whether we want this potential economical resource to disappear or do we want to capitalize on this resource for economical gain? Do we also want save this herd for the future enjoyment of mankind along with state parks, national parks and national monuments and refuges? I feel that these horses are in jeopardy, and that it is not just a simple bait-and-trap removal of 50 horses, or giving mares PZP for birth control. Future roundups could at a later time put our horses into cruel BLM holding pens with very few actually going to GEMS or being adopted. The fact is very few adoptions occur. Thousands of horses are now held in these cruel horse concentration camps with their freedom taken from them. This year they wanted to just make it easy and slaughter the thousands of horses in these concentration camps but were stopped legally by the outcry of advocates. BLM and our community need to step in a new direction and analyze what hasn’t been analyzed before. We need to look in a new direction and make a refuge for our horses and let the birth control have time to work. The time for a new direction is now. 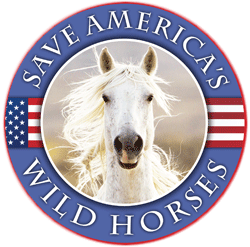 Save the Sand Wash Basin wild horses and don’t eliminate them with cruel inhumane methods that put stress on them when they need their strength to survive winter. After all, many national and state parks were created because people took the lead and saved these jewels for others to enjoy. The wild horses and the place they exist are a jewel and worth saving. You mention that you believe that the wild horses in Sand Wash are an economical asset for Moffat County. If you don’t mind could you describe in what ways they bring money to the county? I am not trying to discredit what you have said, I am genuinely interested in where you have observed the money coming from because I feel that to properly manage wild horses they need to have some degree of monetary value. I am from Rio Blanco County directly South of Moffat County. We do not have the high profile herds like Sand wash, but we have a lot of wild horses and as far as I know, they are not bringing our county any money. If you could elaborate on your thoughts pertaining to this particular subject I would greatly appreciate it.